Deluxe James Madison University Grandma Apron Pink - MADE in the USA! Deluxe James Madison University Mom Apron Pink - MADE in the USA! Deluxe James Madison University Dad Apron MADE in the USA! Deluxe James Madison University Grandma Apron MADE in the USA! Deluxe James Madison University Grandpa Apron MADE in the USA! Deluxe James Madison University Mom Apron MADE in the USA! Deluxe James Madison University Dad Apron - MADE in the USA! Deluxe James Madison University Grandma Apron - MADE in the USA! Deluxe James Madison University Grandpa Apron - MADE in the USA! 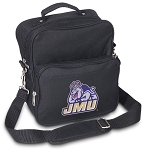 Deluxe James Madison University Mom Apron - MADE in the USA! Deluxe James Madison University Apron MADE in the USA! Deluxe James Madison University Apron - MADE in the USA!